Leaving a legacy gift, or planned gift, is a simple way to provide lasting support for the redwood parks and public lands that you cherish. With only 5% of old-growth redwood forests remaining, and higher visitation to our parks than ever, our work as stewards of these lands will continue far into the future. A lasting gift can help ensure that future generations continue to forge strong connections to the old-growth forests we have today. A bequest from a will is the most common legacy gift because it is private, revocable, and will not affect your assets or cash flow during your lifetime. A bequest may also provide certain tax benefits. If you wish to name Redwood Parks Conservancy in your will, contact your financial adviser, accountant, and/or attorney to ensure that your gift aligns with your financial and charitable goals. You may also contact our Development Director, Joanna Di Tommaso, at any time with any questions regarding your gift. "I give, devise and bequeath to Redwood Parks Conservancy (1111 Second Street, Crescent City, California; Tax ID number 68-0084901) the sum of $____." Or ____% of my estate." "I give, devise and bequeath to Redwood Parks Conservancy (1111 Second Street, Crescent City, California; Tax ID number 68-0084901) [all or a percentage] of the residue of my estate." "In the event that [name of beneficiary] does not survive, I give, devise and bequeath the deceased beneficiary's gift to Redwood Parks Conservancy (1111 Second Street, Crescent City, California; Tax ID number 68-0084901). 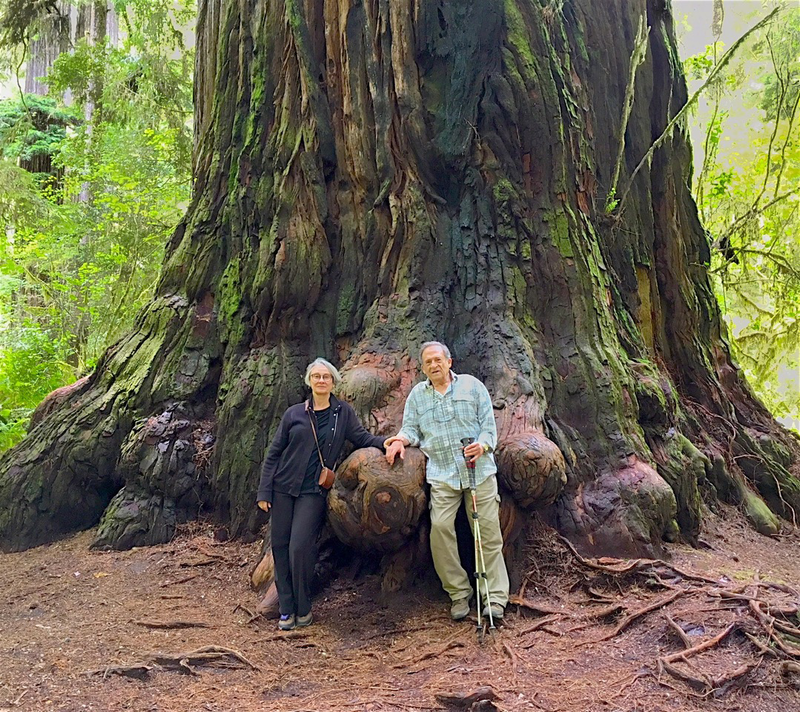 Legacy donors Richard Ross and Linda Carpenter during a visit to the redwoods.